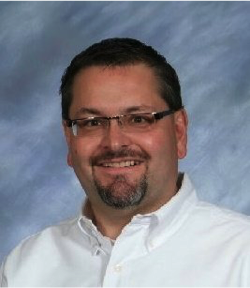 The Director of Manufacturing Technology at GlobalFoundries, Bill Fosnight, will give an ISE seminar on April 15 3pm in CII 3051 on the data analytics challenges and opportunities in semiconductor manufacturing. The title of his talk is "Impact of Data Analytics on Semiconductor Manufacturing Competitiveness. "Abstract: Semiconductor manufacturing can be measured by three core performance metrics: yield (product quality), cycle time (speed) and cost (equipment and resources). In this highly-competitive, fast-product-life-cycle, capital-intensive business, optimizing all three performance metrics is critical to success and survival. Mastering this challenge requires rapid and efficient unveiling of correlations in big data sets and an understanding of the impact of all sources of variation on product performance. The presentation will cover the variety and volume of data collected in semiconductor manufacturing facilities along with the principle factors that impact manufacturing performance. Examples of how data analytics are used to speed up yield learning, reduce process variability and shorten excursion mean time to detect (MTTD) will be covered. Challenges associated with isolating critical signals and opportunities for automated data analytics will also be presented.